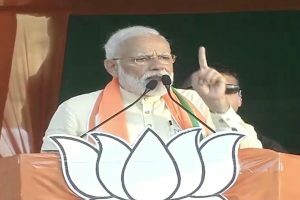 The PM was referring to the incidents of political violence reported from the state in the first three phases of the Lok Sabha elections 2019. 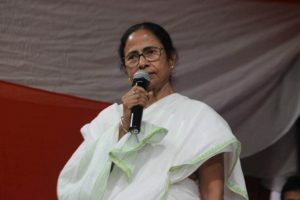 Stating that the ‘biopic’ is not related to her party, the Trinamool Congress (TMC) chief said that she is “not Narendra Modi”. 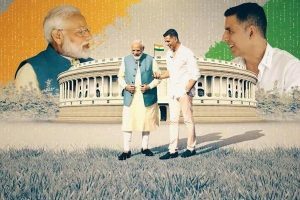 In his chat with Akshay Kumar, PM Modi said he never thought that he would become the prime minister. 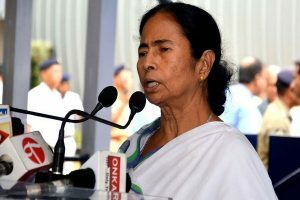 West Bengal has recorded a voter turnout of 68.25 per cent till 4:30 pm. 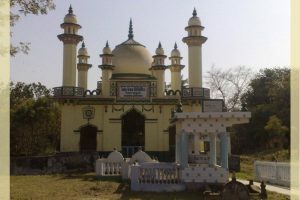 The letter was signed by BJP vice-president in West Bengal Joy Prakash Majumdar. 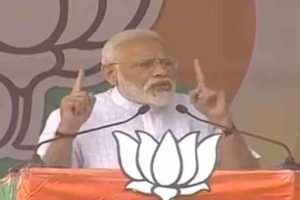 Slamming the PM at an election rally in Cooch Behar the Trinamool Congress chief said that her party believes that all religions are one family. 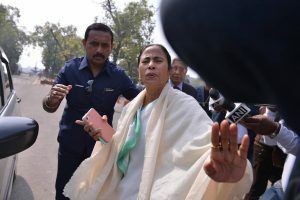 Banerjee had on Saturday written to the EC complaining against the decision to relieve four officers, including the commissioners of Kolkata and Bidhannagar, of their election-related duties. 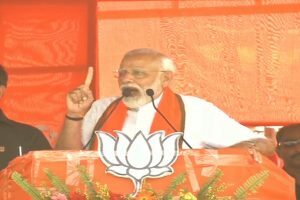 This was the PM's third rally in West Bengal since 3 April and was held in the constituency where Mamata Banerjee held a rally four days ago. 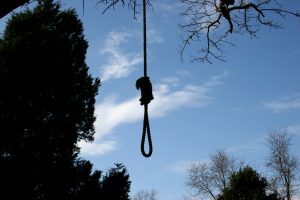 The EC also directed that the present incumbent officers being shifted should not be involved by the state government in any election-related duty. 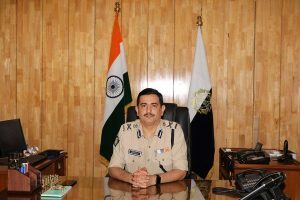 The incident which happened in Siliguri Municipal Corporation Ward Number 36 triggered alarm ahead of the Lok Sabha elections in the country. 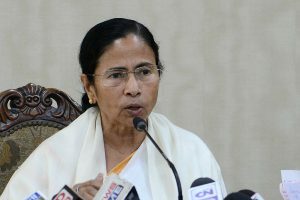 Banerjee countered Prime Minister Narendra Modi’s allegation that she was the speed-breaker in the path of the development in the state. 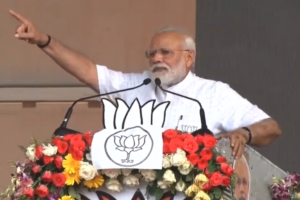 The PM said that the “anti-India language” used by the opposition leaders is out of their fear that their political ground is shaking. 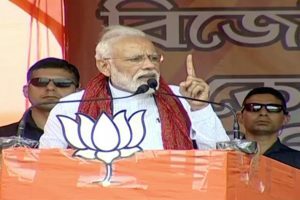 Addressing a massive rally in this part of north Bengal, the PM took jibes at the Trinamool Congress (TMC) chief saying that she is the speed-breaker in the path of the state’s progress. 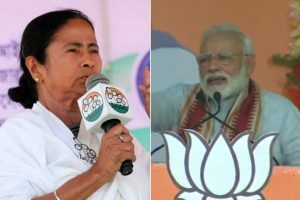 The TMC released a 'Jumla Metre' just hours before a ‘face-off’ between Prime Minister Narendra Modi and West Bengal Chief Minister Mamata Banerjee at two different rallies in West Bengal. 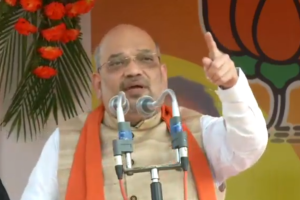 Amit Shah accused Mamata Banerjee of smothering democracy in the state.